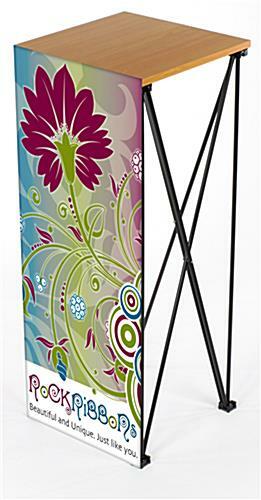 This advertising stand is a great combination of style and versatility. 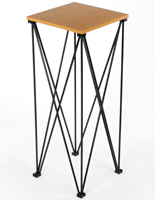 Are you shopping for an alternative laptop table with a custom look? 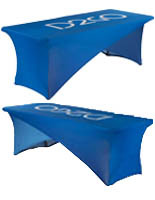 This display table, advertising stand includes a portable desktop and a full color 16 1/2"w x 41 3/4"l custom banner. Include your company name and logo on the custom designed banner of this podium to make a visual impact on your audience. 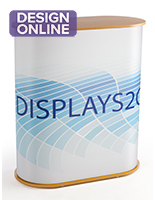 This advertising stand, portable display table is designed for users who travel or attend conventions and tradeshows. This unit is highly portable and sets up in a matter of minutes. 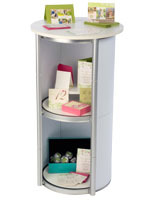 This advertising stand can also serve as a great accessory for other beautiful lecterns offered on this site. 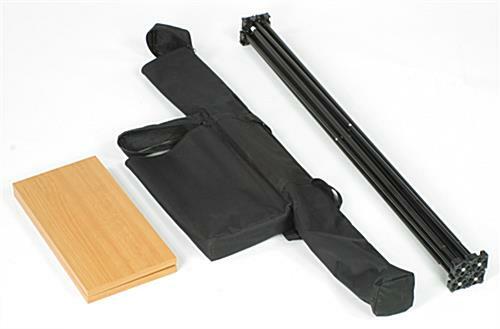 Place the demonstration table next to a lectern to hold a laptop, sound system, speaker or any other presentation equipment and display your custom made banner with pride. 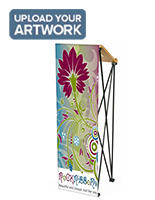 This advertising stand is lightweight and requires no additional tools to assemble. Just place the table frame on a stable flat surface, align the magnets on the bottom of the top platform to the magnets on the stand. Attach hook and loop strips to the top and bottom end of the banner and attach the banner to the front of your advertising stand for maximum exposure. 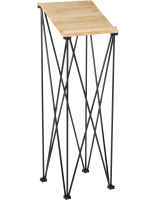 The portable podium can be used with or without the graphics. An advertising stand such as banner display stand or portable laptop table is great in quality and offered at an unbeatable price. The included custom graphics are printed onto a high quality, 13oz white vinyl banner for bright color images that will look great anywhere. 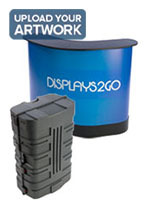 This advertising stand also includes a rugged black carry bag to fit your portable laptop table.